Inspired storytelling to build your brand. Hello! We’re The Story Foundry. We are a storytelling company creating inspiring video content to help our clients deliver their brand story in new and meaningful ways. We bring value to our clients by creating purpose driven content focused on results. Engagement begins with understanding. Everything that video content does for your business can be defined in three simple ideas. We call them the three “i’s” of video. Build your brand awareness. Video content for business “inspires” your audience. Think about those Westjet Christmas videos, or the Budweiser horses! Totally grabs you in the feels and makes you all misty. It’s brilliant! And it’s deliberate. Make no mistake, inspiring video content is made for one main reason. It’s called brand building or engagement, and it works. Do you want to start building your brand? Start creating some inspiring video content and introduce yourself. Build your brand authority through thought leadership. Video content for business “informs” your audience. This is simply content marketing. If you want to build an audience you must provide content that deserves to be watched. Think “how to” videos, “product opening”, “equipment demonstrations”, “vlogs”, “tutorials”, etc. When it comes to your business, you’re the expert. Informative video can establish you as a thought leader in your sphere. Why not get a jump on it? Build a response to your brand. Video for business “ignites” your audience to take the next step. Try a product or service, subscribe to a newsletter, donate to a cause, sign up to volunteer. Whatever your content is, this is the time be clear about what you are asking. We tell the right stories for your audience. We take the time to hear from you, learn who your audience is and understand your communication goals. We provide a comprehensive creative video content strategy and submit it to your for review and further discussion. We write, we script, we shoot, we record, we animate, we edit. We do whatever we need to in order to bring your video strategy to life. Send your content skyward! We launch your content onto your chosen media channels. We watch the data and refine the strategy as we need. Because many of our clients need regular content we offer a subscription based model. Budgeting is straight forward and quite affordable for most businesses. Generally subscription rates begin around the same price as a monthly half page newspaper ad. And, good video content is quickly becoming one of the best investments you can make with your marketing dollars. Video strategy. Video Content. Stock Footage. Architectural photography. Time lapse. Pretty much anything that’s required. It’s great to have really nice video content but what you really want to know is if it’s going to work for you. 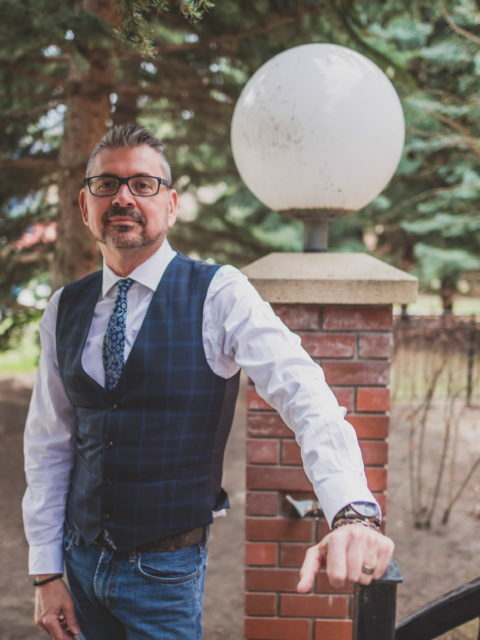 With a passion for all things related to brand story, Jay focuses on building long term relationships with clients who understand the unique value he brings to them. The Story Foundry is the name we use to describe our rocket fuelled creative engine. The heart of of this little company is that fiery place where sparks fly and ideas are worked over until the “slag” is all gone and only what remains is the best and brightest of ideas. We are a storytelling company creating inspiring video content for clients who want to better engage with their audience. We help business build their brand.